I love back to school; the excitement in the air, the untested new ideas, the fear, the thrill. All of these things put a pep in my step. And yet, there is one major downfall to back to school; less time to read. I have luxuriated in books this summer. Gone days with no TV where I could be found under the covers needing to read just one more page. My books read display at school shares the tale of a summer filled with amazing reads that now I cannot wait to book talk. So what have been some of the best middle grade novels I have read lately? 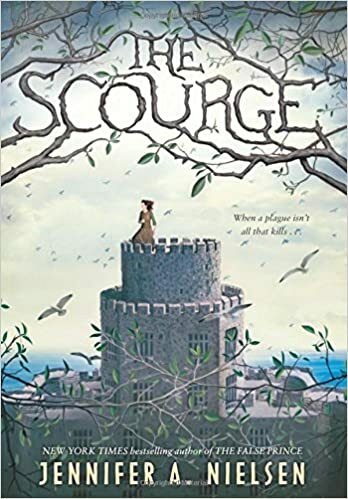 The Scourge by Jennifer A. Nielsen is a fantastic page turner. Much like Jennifer made me fall in love with The False Prince (still one of our most loved series even in 7th), I too fell in love with Ani and Weevil and the trouble they cause. This is an accessible book, many reading confidences will be able to get sucked in and stay sucked in as the action springs from page to page, and yet, it is also a book that speaks of human relationships, of deep commitments to each other. My only disappointment with this book is that it is not a series; I would have loved for the story to keep on going because it is that good. 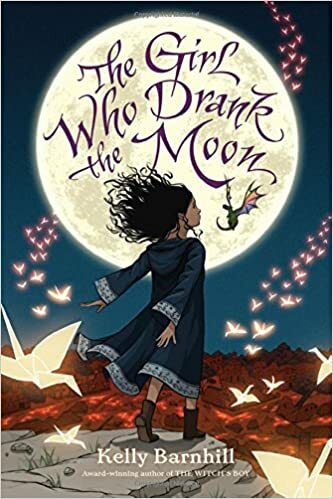 The Girl Who Drank the Moon by Kelly Barnhill was one of my last reads of the previous school year, and yet I still book talked and had one student read it in two days before the final day. His face when he came back told me all I needed to know, “It was so good, Mrs. Ripp.” And I agree. With one of the best first chapters I have read in a long time and the most incredible language, this is a book you give to those kids that want to sink into a world of magic, destiny, and a quest. Kelly’s storytelling is masterful and I would be incredibly surprised if this book does not end up on a lot of “best of…” lists. I don’t read dog books, ask any of my students, and yet this year there have been an incredible slew of dog books to prove me wrong. 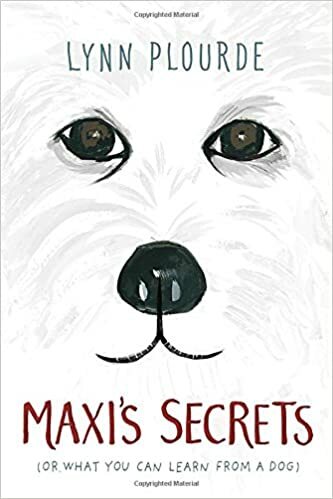 Lynn Plourde’s Maxi’s Secrets steals your heart from the very first chapter. Just like Maxi quickly brings love and life back into the lives of the characters of the books, so does he for us. I gave this book 5 stars when I read it and it still stands out as a 5 star book to me. This is one of those books that make us thankful that there are writers out there that so gets what it means to be new, what it means to try to fit in and what it means to love something like a dog. 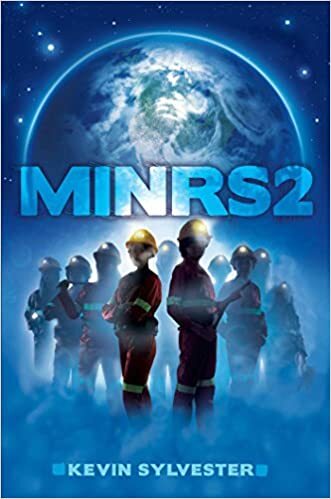 I have sung the praises of MiNRS by Kevin Sylverster since it came out lat year and so when I was lucky enough to receive an ARC of its sequel, MiNRS2, I knew this was a book I had to start right away. I was not disappointed. Kevin Sylvester masterfully picks up on the cliffhanger he left us on and takes this tale of kids surviving a devastating attack on a far away space colony to new heights. This page turner is sure to have readers wanting to read just one more page and then much like me, eagerly await the third book. Does it really have to be so far away? This comes out October 11th. 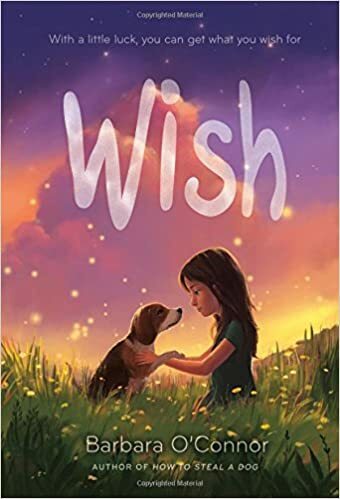 While I have not finished Wish by Barbara O’Connor yet, I know I will later today because I have to find out what happens to Charlie as she tries for a new start, albeit grudgingly. The characters pull you right in as does the story. How many of us can relate to feeling displaced? To being angry? To feeling all alone? Barbara O’Connor is a master storyteller and shines in her latest book. My students have been obsessed with free verse novels the past year. It is hard not to be when some of the greatest books are being published in this format. 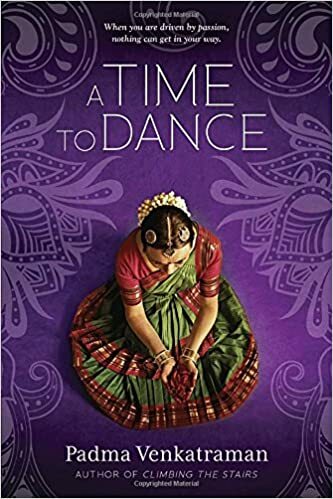 So when I was gifted a copy of A Time to Dance by Padma Venkatraman and noticed that this was not only a book written in free verse, but also represented a cultural view that most of my students have not been exposed I knew I had to read it. So I fell into the pages of the story of Veda and her dreams of becoming a dancer. Wrapped in the beautiful world of India, I found myself reaching for my iPad as I read wanting to understood more fully all of the culture that was being shared in the pages. It was a beautiful reading experience and one that I am thrilled I can pass on to my students. One that I know will catch many of them too as they cheer for Veda and find connections between themselves and the story unfolding before them. For too long my classroom library has not had enough multicultural diversity in its text, this books a small step toward rectifying that, and a beautiful one at that. Nora Raleigh Baskin’s book Ruby on the Outside was a book that I said all libraries should own because it told a story that some our children live every day; a parent incarcerated. 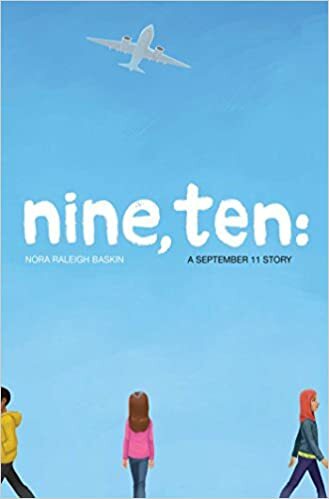 Her latest book Nine, Ten: A 9/11 Story is another must own, must read, must share, must discuss. Written delicately, yet honest, it follows four different children on the days leading up to what we know as 9/11. The four stories means that we get four different perspectives of that day, of what it meant to be an American after the event. I love the four different perspectives because they mirror so well how we felt as a country; fractured but together. All with our own experiences coloring how we viewed the event. This book is a must add to your library as we continue to try to teach such a historic and frail moment. It is appropriate for young students, but my 7th graders also love it (I was gifted an advanced review copy). I am grateful to the authors that are giving me the tools to make our future understand why we changed so much as a nation, why we are the way we are now. How we came together as a country, even though these days, that seems like a long lost memory. Perhaps books like this will help us remember how alike we all are, rather than how different. One can only hope. Thanks for this great shout-out! Pernille – how can I thank you for such beautiful words about Ruby (which is an issue I am still very involved in) and Nine, Ten (an issue the whole country still feels)..yes, we can only hope. But I do believe books can create empathy. Slowly, then all at once. So honored to have my work listed with so many others that I respect! Thank you doesn’t seem to express the depth of my gratitude and joy.